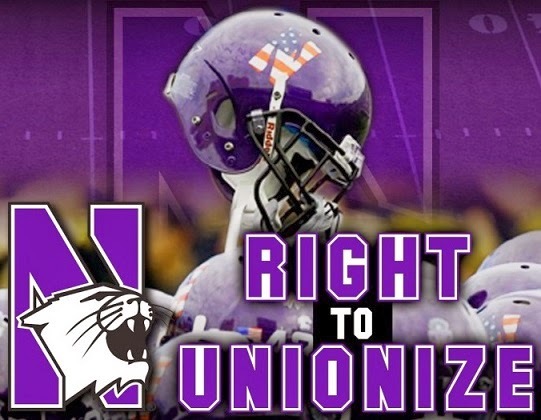 College football and the NCAA held it's collective breath this week while awaiting a decision by the National Labor Relations Board on the request by Northwestern University football players to unionize. That noise you heard was the wind being knocked out of them when the NLRB punched them in the communal gut and ruled that the players aren't "student athletes," but rather employees whose work generates substantial revenue for the school. 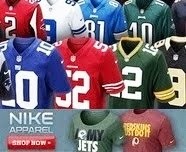 I've been saying for years that money was ruining sports. More specifically, major college sports. The decision by the NLRB may very well be the beginning of the end of college athletics as we know it. The immediate effect will be negligible, since that decision will inevitably be appealed. But if the courts uphold the NLRB's decision, college sports will change forever. It would pave the way for collegiate athletes to demand being paid. Many people have been lobbying for that for years. I'm not one of them. The argument can be made that these kids have never really been amateurs, since most of them are awarded thousands of dollars in scholarships every year. I would tend to agree with that, personally. Does there need to be a vast overhaul of the NCAA and college athletics rules and regulations? Certainly. Does it need to be ruling the athletes as employees and compensating them above and beyond their scholarships? I don't think so. Nonetheless, depending on how this turns out, athletes may be able to negotiate contracts, percentages of bowl money, and any number of other ties to the multi-million dollar franchise that is intercollegiate sports. The decision of the NLRB only applies to private institutions (for now), because they have no power at all over the state-run universities, but rest assured that it will only be a matter of time before it applies to everyone, if it isn't overturned on appeal. In all likelihood, the final outcome is probably years away. But if the NCAA and the individual conferences and universities are smart, they will begin working on some type of settlement. Otherwise, they won't have any say in how the final outcome gets resolved. They could be looking at anything from a total overhaul of their system, to possibly the major conferences breaking away and forming their own "league." So how exactly did we get into this incredibly messy situation? Simply put, greed. Greed by the NCAA. Greed by college presidents. Greed by college athletic directors. Greed by college coaches. Greed by major television networks like ESPN, CBS, ABC and NBC, and now by the lesser conference-run networks. With educators like that, how could we expect anything less from the players themselves? They've learned their lessons well. Basically this scenario will hurt everyone involved if it goes through except the labor union fat cats who will milk this for all it is worth. Well said, Chris. I agree with that assessment completely.